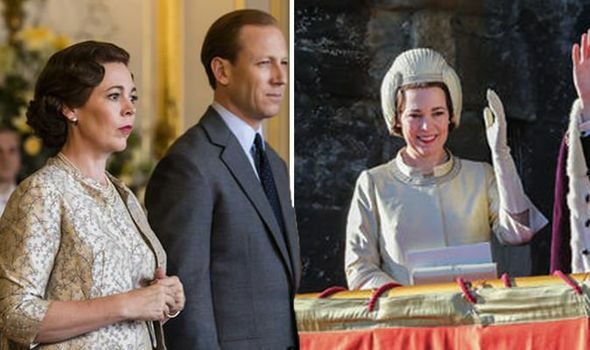 When the Netflix programme returns, it will see a whole new cast take on the roles of Queen Elizabeth II, her family and those around her. The third and fourth series, which are reportedly being filmed back-to-back, will cover the years 1964 to 1976. But when will The Crown viewers finally be able to watch the third series? It may be disappointing news for some fans as it appears as though series three is not yet completed. Netflix has confirmed to Gold Derby that The Crown will not be competing in the 2019 Emmy Awards as it not submitted its third series for consideration. With the Emmy entry deadline set at May 31, it looks as though the episodes for the third series will not be completed in time. The first series was released in November 2016, while the second launched on Netflix in December 2017 so it could point toward a winter release if the third series follows suit. The programme has previously been nominated at the awards, receiving five nominations at the Primetime Emmys in 2017 and six in 2018. John Lithgow won the Outstanding Supporting Actor in a Drama Series gong for his role as Winston Churchill in episode Assassins in 2017 while lead Claire Foy picked up the prize for Outstanding Lead Actress in a Drama Series in 2018 for her work in Dear Mrs. Kennedy. Meanwhile, the 2018 ceremony also saw Stephen Daldry win the Outstanding Directing for a Drama Series award in 2018 for the episode Paterfamilias. 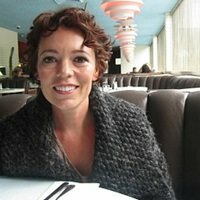 Olivia Colman is taking over the role left vacant by Claire Foy following her Best Actress Oscar win for playing another royal, Queen Anne in The Favourite. Meanwhile, her husband Prince Philip will now be portrayed by Game of Thrones star Tobias Menzies. Helen Bonham Carter, who is no stranger to playing royal roles, will take on the part of the Queen’s sister, Princess Margaret. While Prince Charles appeared a child in series one and two he will be moving into adulthood in the new season, this time played by Josh O’Connor. Fans will also see Camilla Parker Bowles enter his life in the form of actress Emerald Fennell. Producer Suzanne Mackie confirmed in 2017 at the Radio Times & BFI TV Festival that viewers will meet a young Camilla. “Peter [Morgan, the show’s creator] is already talking about the most wonderful things. We start meeting Camilla Parker Bowles in season three,” the executive explained. She added: “We have to be honest, season three and four are being mapped out and the closer the history comes – I now can say, ‘God, I know exactly what I was feeling when that happened, I remember that and I remember this.’ That’s so exciting. The Crown is expected to return to Netflix later this year.